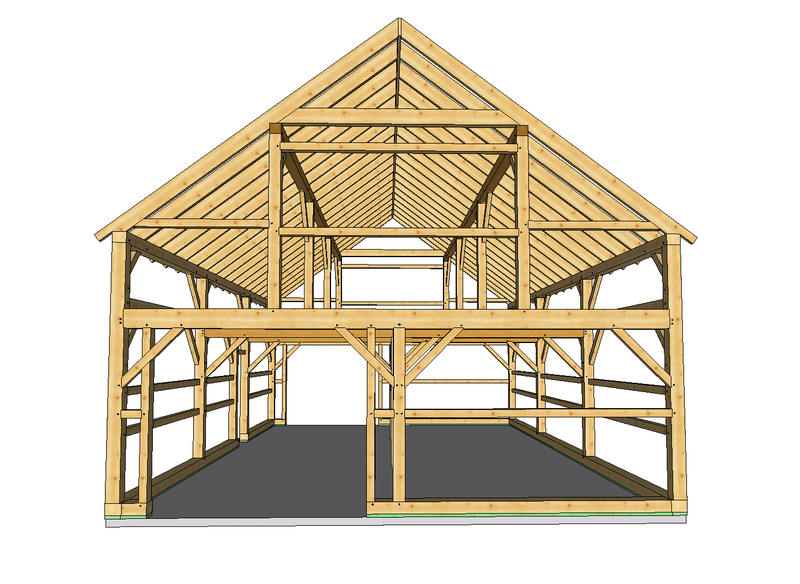 A slightly smaller and thus more economical English style New England barn is our Litchfield Queenpost Barn which, like our larger offerings, utilizes Queenposts and continuous Purlin Plates to support the roof structure. 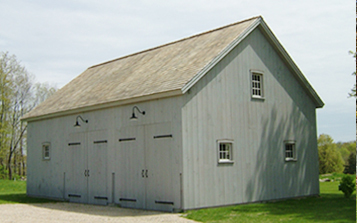 Smaller English style barns typically had their doors on the sides (eave walls) in the center or "threshing" bay, but we can easily modify any of our designs and place doors in any bay or on a gable end- wherever they best suit your needs. 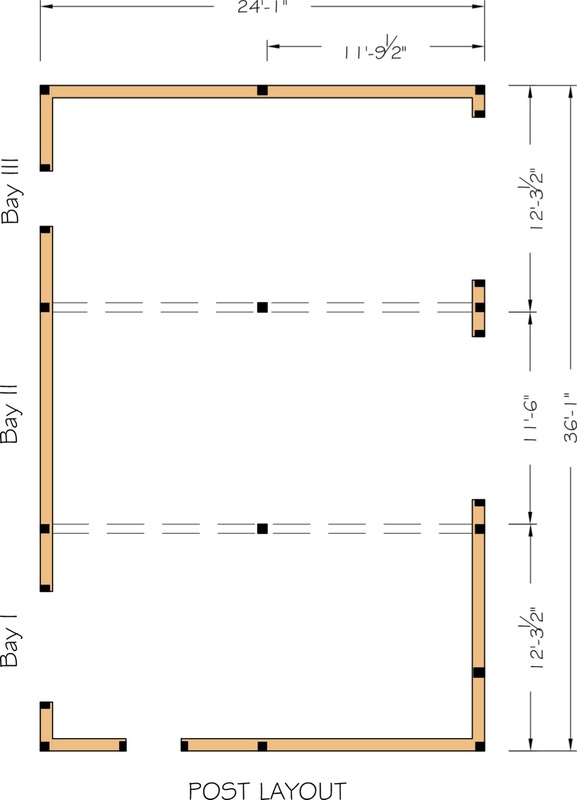 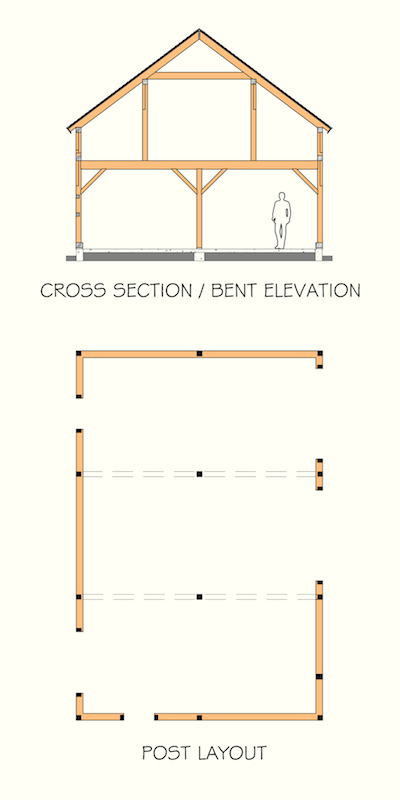 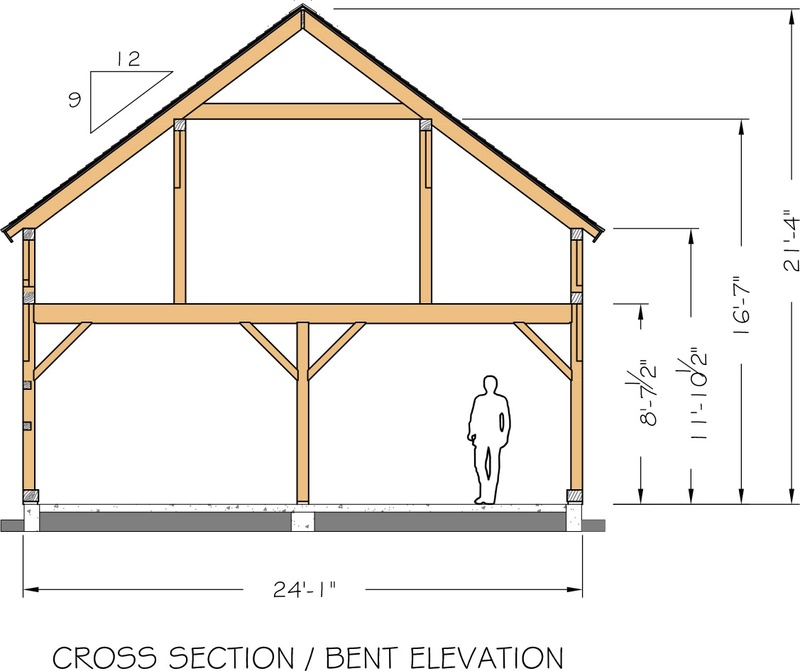 Do you have a sloping building site? 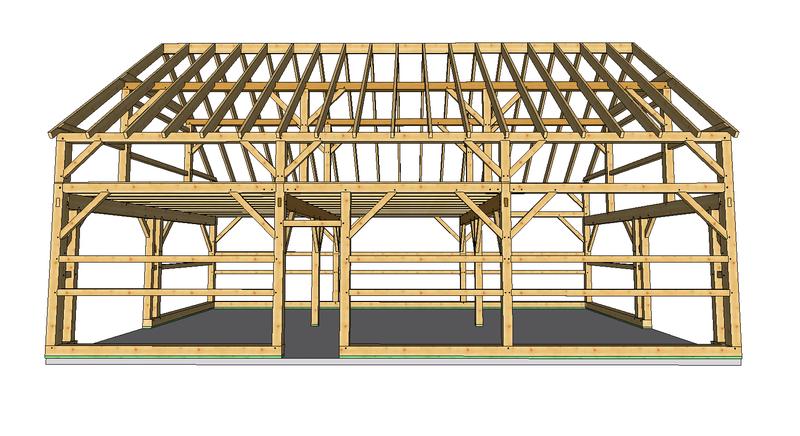 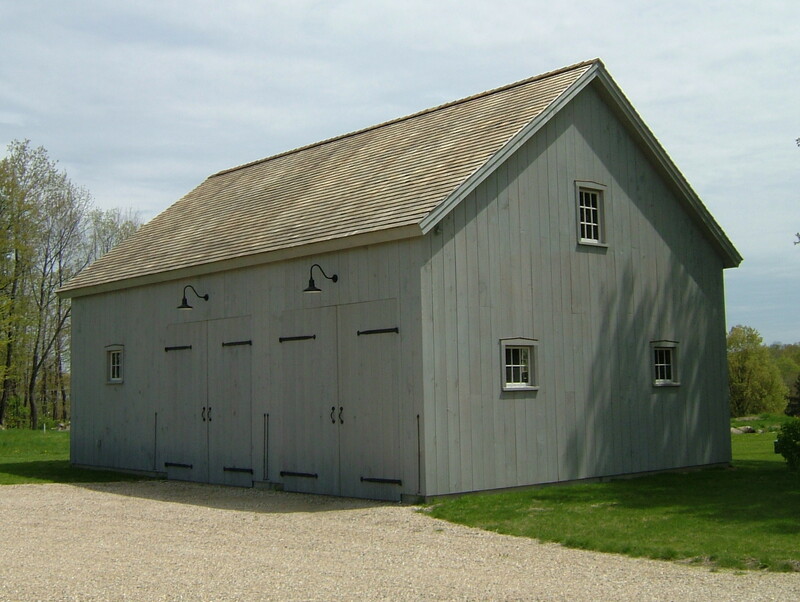 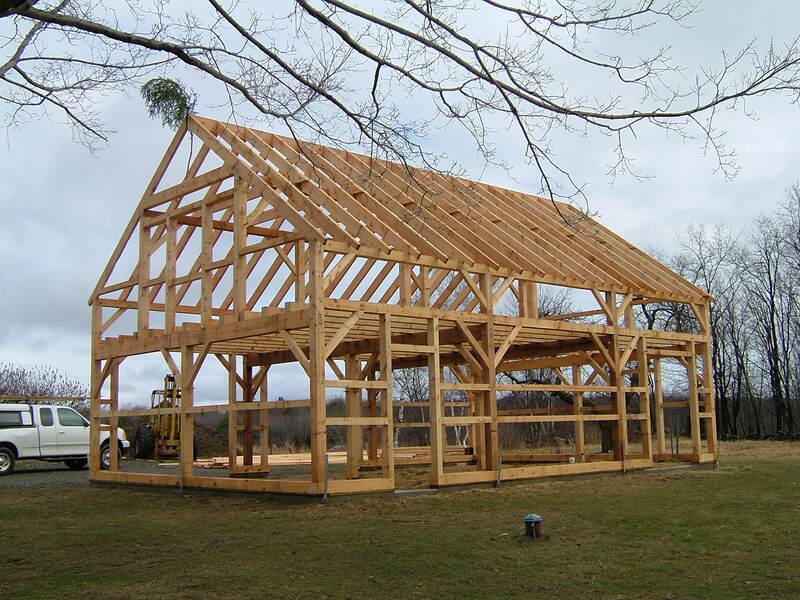 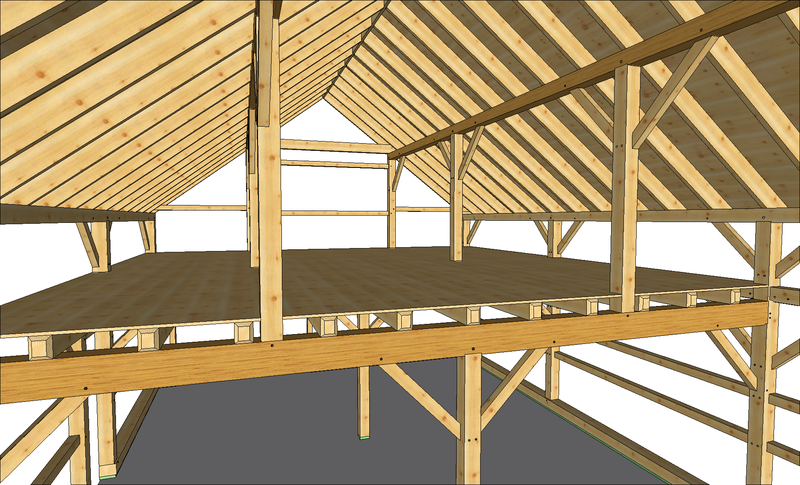 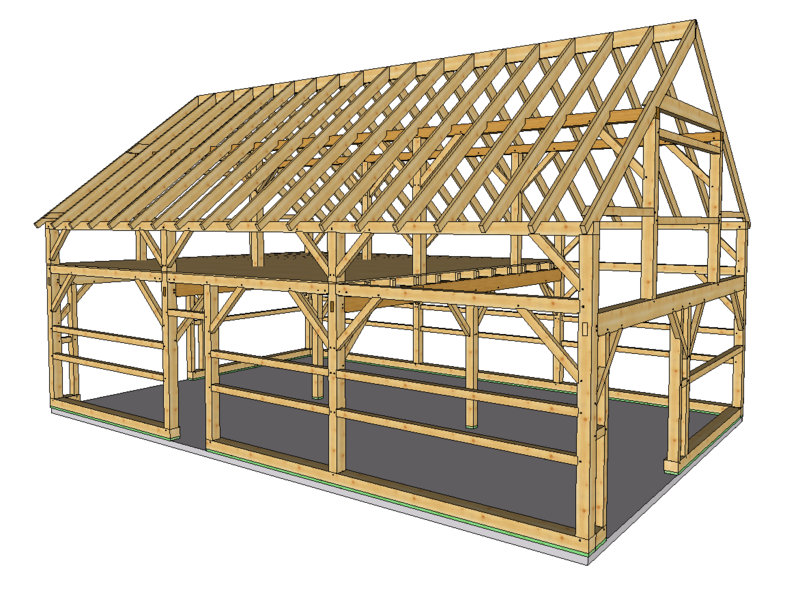 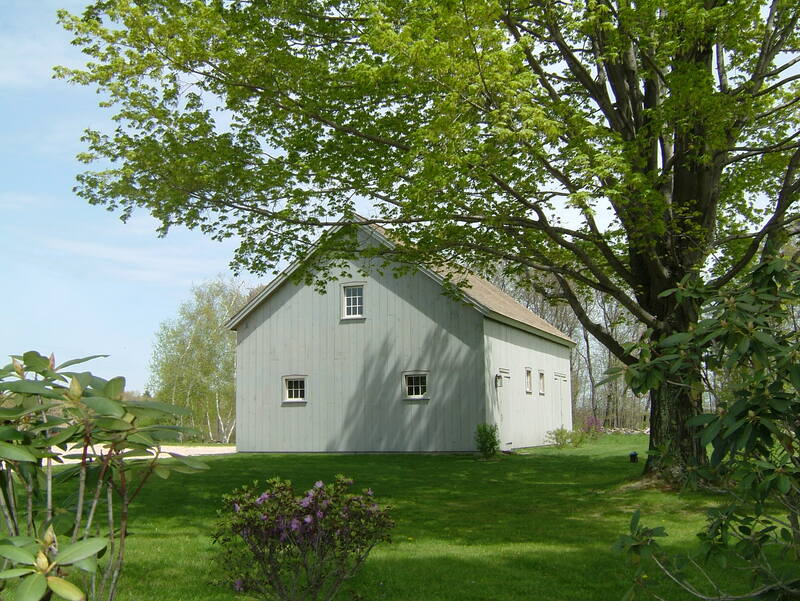 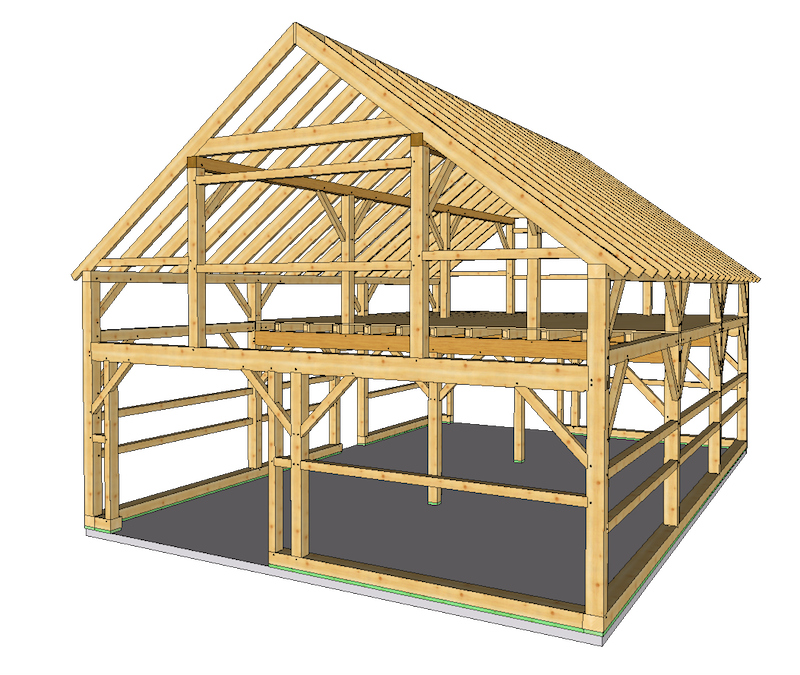 We can even create a custom "Bank Barn" design, very much a New England classic!